The world in turmoil, a super man arises, delivering peace to a troubled world. Christians are Raptured and the world is further plunged into chaos. Tribulation begins, persecution sets in, wars annihilate. 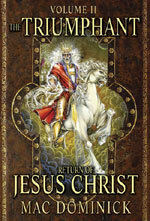 Only the return of Jesus Christ can possibly set matters straight. Are you ready to stand in front of Him today? 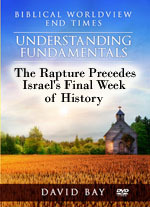 Is there a tie-in between the Rapture and the beginning of Daniels 70th Week, which is known as the Great Tribulation? Consider the Global rapture. Every Born Again believer will be instantaneously snatched from this dimension. Will be like a strong magnet passed over a bed of steel and aluminum fragments. What happens? The steel flies through the air to attach themselves to the bottom of the magnet while the aluminum pieces remain in the bed. Jesus Himself will appear in the air over the Earth and utter a strong shout for His Church. At that instant, believers will be snatched from their earthly dimension and will fly through the air to meet Jesus, getting a glorified body along the way. The 70th Week is the 7- Year Tribulation, whose major purpose is to further purify Israel to accept Jesus as their Messiah. The Christian Church is not in view here because Gods purpose is to finally deal with Israel. Once God removes His Church, He can deal with Israel's last punishment and her preparation to receive Jesus as the Jewish Messiah. Exciting times. Do not miss the Rapture of the Church! Through current events, Satan is building his One World Church, the One World Antichrist and the One World Religion to be headed by the False Prophet. The False Prophet will lead the One World Church and be headed by the Pontiff of Rome. Current events are pointing resolutely to the reality that the False Religious Prophet is the Pope, whomever he is at the time. This DVD teaches the reality of the Pre-Tribulation Rapture and how this blessed hope of the Christian is becoming more obvious with each passing day. Dispensationalism is discussed and taught and presented as the only way in which we can make sense of God's prophetic time line and the difference God makes between Israel and the Church. Over 2 hours, single DVD.